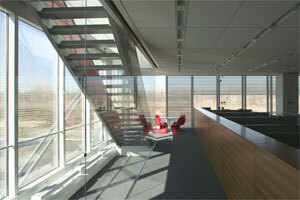 The tangible benefits of daylight on human productivity and energy efficiency of buildings have long been known. But like most things, too much of something is not good. This maxim applies to daylighting in Long Island Roofing. An uncontrolled daylight poses potential dangers because of the light and heat that go into a building’s interior through various daylight openings on the roof (skylights) and walls (windows). Two unwanted effects of unhindered daylight are glare and thermal discomfort. While daylight enhances productivity of employees, glare diminishes these benefits aside from affecting the general well-being of people. Glare distracts and creates discomfort on people; it also hampers visibility and makes work more difficult. People exposed to glare experience headaches, eyestrain, fatigue and irritability. People experience glare through different reasons. An object could be emitting too much light or there is too much light in a particular space, or the intensity of a light is creating too much contrast. Direct sunlight produces 100,000 lux of light. That amount of light is too bright and causes discomfort on people without the use of shield, shade or other device to tone down its intensity. The recommended level of lighting for work is 300-500 lux. A room or space is considered as having too much light if the brightness exceeds 1000-3000 lux, the limit set by daylight designers. Glare produces discomfort on people who are prompted to use available means to minimize and control glare, including pulling the blinds all the way down or sticking newspapers and cardboards on windows. These methods, however, do not produce the aesthetic appeal required by designers nor present the originally-intended view and daylight. Sunlight directly passing through skylights on the roof or glass windows generate heat inside the building. Sunlight absorbed by windows also produces heat and radiates inside the structure. Heat loss or gain through this system impacts the air-conditioning system of the building and affects the level of comfort of the occupants. Most buildings today incorporate sun management components, including static glass, interior blinds and horizontal sun shades. Some of these solutions – such as pulling and drawing blinds – require active management throughout the day while others are static solutions against glare and heat that require no further intervention. Modern designers have developed dynamic systems that automatically control the amount of sunlight and heat that could pass through specially-treated glass windows, freeing people to concentrate on their work without worrying about the glare and solar heat gain.